We continue to witness the development of highly-automated vehicles being carried out in the goldfish bowl of testing, consumer approval (or not), safety issues, private ownership (or not), and the creation of the necessary industrial ecosystem (through partnerships and acquisitions). At the same time, technologies for connected vehicles and infrastructure are quietly being improved and deployed. The automated side of the equation continues to fascinate while the connected side tends to stay under the radar (so to speak). There are signs that the two sides of this very important coin are converging. Public visibility will continue to be led by highly-automated vehicles and how they will be accepted and marketed. This leads public attention to automated ride services, last-mile shuttles, and new forms of parcel delivery. All of these crowd-pleasing applications require connectivity “under the hood," to make them work properly and safely. However, once public acceptance of automation is more settled, the role of connectivity will come to the fore in its own right. The true desires of consumers to have more control over their trips – not less – will bring about a new wave of connected mobility where the full potential of mobile networks will be realized. After all, connected technologies transmit data, and no amount of automation on its own can improve the transportation experience like data can. And automated vehicles create data at a faster rate than any other consumer product. Consumers will not accept any disconnect in this divine partnership of technologies. Connected and automated technologies are both here for the duration, to be continuously shaped by consumers. The Story: Traffic & Parking Control Company (TAPCO)recently introduced its Connected Vehicle Interface. 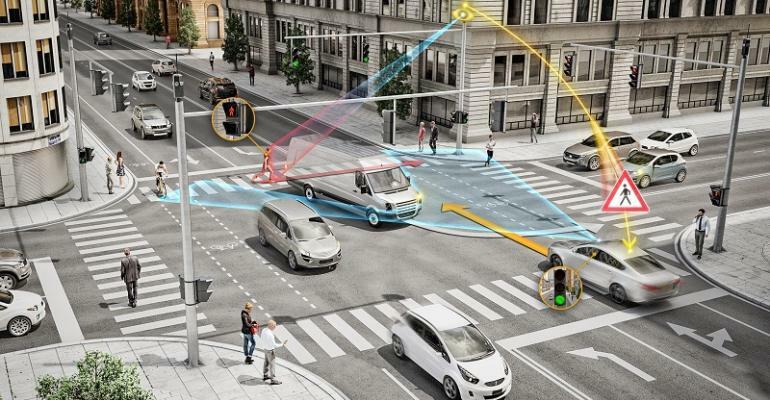 The Connected Vehicle Interface communicates with Smart City Road Side Units (RSUs) to relay Intelligent Warning System activation data to connected vehicles via Dedicated Short-Range Communication, 4G or 5G networks, providing drivers with instant in-vehicle alerts. The Takeaway: TAPCO's Connected Vehicle Interface transfers system data through integration with local Advanced Traffic Management Systems providing officials with activation trends, status information, and actionable insight into each connected system. This product provides added customer value from RSUs installed by agencies and from on-board units (OBUs) installed by vehicle manufacturers. The Story: Highways England has awarded Costain the contract to design, install, and implement one of the UK's first connected vehicle corridors on a live roadway. The Takeaway: Under the contract known as the A2M2 connected corridor, Costain will deliver the connected roadside technology for the benefit of Transport for London, Highways England, and Kent County Council and provide a technology testbed for Cooperative Intelligent Transport Systems. Costain will test wireless transmission of data to and from traveling vehicles via ITS G5 communications. The Story: FedEx Institute of Technology at the University of Memphis, in partnership with the City of Memphis, developed a technology diffusion method for determining the potential of adoption for connected automated vehicles. The Takeaway: In this interview, MetroLab's Executive Director Ben Levine discusses the project with Sabya Mishra, co-director of the SMARTCities Research Cluster at the University of Memphis, and Memphis CIO Mike Rodriguez. The research probes the question of private ownership of highly-automated vehicles versus their use in ride-hailing services; it shows that drivers/users are concerned about losing control over their travel experience, but that automated ride services – that need to be connected - are likely to be a major early adopter of automation. The Story: Together with Panasonic and Qualcomm, Ford begins testing Cellular Vehicle to Everything (C-V2X) direct communication technology as part of Colorado DOT’s strategy for CAV rollout. The Takeaway: Panasonic,Ford Motor Company and others have partnered to test and develop connected vehicles, roads, and regional traffic management centers to improve safety and efficiency. This strategic initiative by Colorado DOT is open to connected vehicle technologies including DSRC and C-V2X. Ford demonstrated several safety applications that were developed by USDOT’s DSRC-enabled Safety Pilot Program. The Story: At the recently concluded SEMICON Westsemiconductor industry conference, a feature panel event was dedicated to how semiconductor technology is helping disrupt the transportation sector. The Takeaway: It wasdiscussed how automation, electrification, connectivity, and shared mobility are interdependent and the individual trends are not possible without each other - in particular for the future of ride-sharing and mobility. Connectivity is essential to automated ride-sharing and the evolution of cities will be influenced by automated, shared rides. The Story: Las Vegas, Arizona, and Utah are moving ahead with IoT sensor-based technology to improve transport. Applications include driverless shuttles, wrong-way driving detection, and emergency vehicle access. The Takeaway: More than just monitoring and managing isolated applications or functions, connected sensors can improve entire city functions, including traffic safety and transit. Examples include Las Vegas' autonomous downtown shuttle, and traffic cameras used by Utah and Arizona to spot wrong-way drivers. 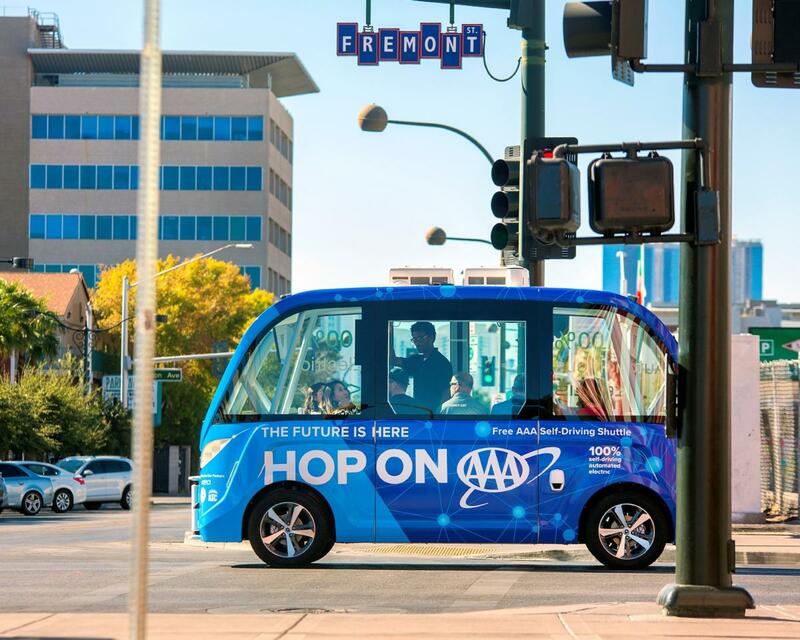 In the case of Las Vegas, the popularity of a Navya driverless shuttle has helped the re-emergence of the old downtown area. The Story: Industry consultant Manuela Papadopol suggests the industry adopt a less restrictive approach to connectivity regimes. While vehicles already contain several interfaces, she points to an enormous opportunity with mesh networks, such as Veniam’s massive vehicle network in Porto, Portugal. The Takeaway: Manuela Papadopol, co-founder and managing partner of Sansea Consulting, explains that automakers and suppliers should focus on making the most of every interface of vehicles, infrastructure, and personal devices without hierarchy to create and utilize Wi-Fi hotspots and to provide relief to mainstream networks like internet and cellular.